Last week I wrote that Wilpattu should be the core issue of the forthcoming local government elections because the said election has taken on a national character and because ‘Wilpattu’ is a national issue. In this article I mentioned the communal element that Wilpattu has come to be associated with. I did not mention any community by name but said that the minister concerned belongs to a communalist party and pointed out that the objectors had a history of violence confrontations with that particular community. That’s it. Such things need to be mentioned because not to do so would be telling just part of the story. However, the article and the argument therein went beyond the parochial interests of extremists belonging to various religious communities. Now a person named Reza Nasser has referred to this article and indulged in a bit of fear-mongering, claiming that making Wilpattu an election issue could lead to ‘an ethno-religious bloodbath.’ Nasser has made some tendentious remarks about my political loyalties which are to hilarious to comment on. For me, they are as much a distraction as the ‘communal factor’ with respect to Wilpattu. Nasser would do well to re-read the article and see if (as claimed) I have forgotten other instances of forest reserves, by what he/she calls ‘Royal offspring of the previous regime’ or anyone else. Now Nasser refers to me as a Sinhala writer. Should I refer to Nasser by the communal identity associated with the name ‘Nasser’? Who then is making this a communal issue and why? The argument is weak: ‘Hands off Wilpattu because Wilpattu is communal-loaded!’ Hands off the destruction, that is. In other words the communal card is being used to stop the debate and to clear the pathway for further destruction. Let’s get some fact in here. The name ‘Wilpattu’ is derived from ancient administrative system where provinces were called ‘Pattu’. Wil+pattu then refers to a province of lakes. This area with these special villu eco-system spans from Karuwalagaswewa in the Puttlam district to the Yoda Wewa or Giant Tank in Mannar and spreads across parts of the current Puttalam and Mannar districts which belongs to two difference provinces, the North Eastern and Northern. Therefore, all the unseparated and undivided forests reserves, national parks and sanctuaries in this area are together identified as the Wilpattu Forest Complex (WFC) or Wilpattu Ramsar Wetland Cluster of International Importance. The Auditor General’s report on the issue has clearly indicated wrongdoing in the name of settlement of IDPs in so-called ‘ancestral lands’ where ancestry has not been established. Trees, forests and protected areas do not have communal identities. If trees are illegally felled and if land is illegally cleared then it is wrong. Communal identity of any kind being used to justify such acts is communalistic and should be abhorred, regardless of the community. The difference between what’s happening in the WFC and elsewhere is this: action was taken when environmentalists objected in all such locations except Wilpattu. If communalism is the reason for this difference then the issue is communal, unfortunately. All the more reason to see beyond identity and community in this and similar issues. But that would be pandering to those who want to keep the WFC communally-colored. Just this morning I read about another claim regarding encroachment. This, orchestrated by State Minister Range Bandara. Here’s a name that’s part of the WFC: Pukkulama. It is located on the coastal edge of the WFC and is around 40 km from the Eluwankulama entrance to the National Park. It is a fishing village. It is an area that is used seasonally by fisherfolk from areas like Kalpitiya and Puttalam. They come, they stay, they fish and once the season is over they return to their homes elsewhere. Although there are some permanent structures and a church, these too were used only seasonally. There are no land routes to the area. Indeed, it was unused for the most part during the thirty-year long conflict. After the end of the war, the authorities resumed issuing annual permits to the families that have traditionally used this village during the fishing season. These are issued with conditions annually and for a fee of Rs 2,500. The previous regime, recognizing perhaps the potential to use this scenic area for economic purposes, cleared a strip of land more than 50m wide to construct a road. They, just like in the case of the settlements that made Wilpattu ‘communal,’ used the ancestral-land claim to create a settlement. Next, steps were taken to carve the area out of the National Park. Finally, a helipad was constructed in Kuduramale. A committee was appointed to expedite the ‘resettlement’ (sic) process in 2010. The committee recommended the alienation of land for settlement. Relevant agencies objected and have remained intransigent. Environmentalists objected too and were able to dent these plans somewhat. Today, the ‘yahapalana’ successors to the previous regime have revived this ‘project’ and ironically it is led by the man who built a hotel in the catchment of the Thabbowa Wewa, Range Bandara. Now are we to focus on Bandara’s ethnicity? 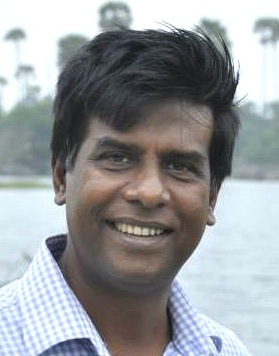 Are we to say, ‘well, he belongs to a multi-ethnic, multi-religious party that stands for secularism, namely the United National Party, and therefore this is not a communal issue and for this reason look the other way?’ Or are we to say ‘this is a Sinhala communal intrusion’ and paint the entire community as a bunch of tree-fellers? Pukkulama is larger than a community and a communal issue just as Vilaittikulam is larger than a community and a communal issue. Citing ‘community’ and fear-mongering together constitute a red-herring. No, ‘Wilpattu’ in the manner in which the name has been used metaphorically above, remains a national interest and it is in the interest of all communities to take a stand on it. We cannot let communality blur the issue. We cannot allow communality to blind us or numb us into inaction. The tree that is felled, the forest that is cleared, has no ethnic identity and neither is it associated with any religious faith. For this very reason both tree and forest belong to all Sinhalese, Tamils, Muslims, Burghers and other communities; for this very reason they belong to people of all faith, Buddhists, Hindus, Muslims and Christians. If you insist on secularity, well then they are all ‘secular’ so to speak. Leave religion and ethnic identity out of it. Keep it, and then rest assured you will be named as a communalist. The Wilpattu encroachment has gone on for quite a while. The previous regime turned a blind eye for obvious reasons. It has reached a point of no return. It is not an appropriate issue for local government elections. Milinda: Apart from being naughty, what is the reason for dragging LTTE into this? It is true there is a communal flavour in Wilpattu. When the Wilpattu forest reserves were being captured the government turned a blind eye to satisfy the Muslims against the Tamils and not because of love for the Muslims.When the Wilpattu reserves were being plundered new forest reserves were being artificially created with the land owned by the Tamils to Keep the Tamils from entering their own lands at Mullaitevu and its surroundings. I don’t think the the whole of Wilpatuu is a reserve but part of it is certainly a Reserve for animals and not for humans. Why can’t the government demarcate before elephants and other animals claim their area by physical force. At a time when Sinhala propaganda about ancient history is increasingly being rubbished by scientific proof, here is another puerile attempt to distort the truth. Wilpattu means Lake district in Elu a proto-Tamil language spoken in Srilanka. (Willu = lake and Pattu = land). The present Wilpattu park was then under Jaffna kingdom at the time of Portuguese conquest and quite rightly should be brought under Tamil control. We had a Sinhala friend who was the park warden in the 80s, and we regularly visited the park as his guest during the days when the park is closed for repairs. I had the opportunity to travel extensively in the park due to his courtesy and see for myself. On reading this article it appears to me that the writer has collected some hearsay material and presented his rambling account. He is deliberately omitting Tamil names in the area such as periya (big) villu, periya naga villu, malai (garland) villu, panikkar villu, kurutupandi (blind boar) villu, illanthaiadi (by Ilanthai tree) sinna (small) kulam, kurunchi uttan (kurinchi tree brook), Pachchai odai (green brook), Idiviluntha mottai (Thunder stuck land), Kula mottai, Illanthai mottai, Kokku (crane) mottai, Mailanganamottai, Manikkapalai uttu (emerald brook) etc. I have visited Kudiramalai point where Vijaya and his gang are supposed to have landed as well as Pomparippu, where in both places ancient urn burial sites denoting Dravidian civilisation has been unearthed. Now that an ancient Dravidian civilisation dating back to 10,000 years has been found in Settikulam which is in northern perimeter of Wilpattu, government should undertake to do extensive archaeological survey in Wilpattu where rich findings will surface denoting who are rightful owners of the land. These IDPs are displaced Muslims from Jaffna. They must be resettled in Jaffna. Tamil racists don’t allow that and that is why they are in Wilpattu. Give them back the land they owned in Jaffna and they will gladly leave Wilpattu. BTW who occupies forcibly vacated Singhala and Muslim lands in Jaffna? Certainly not the LTTE. When did Musali become the ancestral land of Muslims, who came there as refugees 400 years ago. Reza Nazeer and Musali Marikkar are agents of Rishard Badurdeen who is hell bent in settling Muslims in Vanni using funds from Qatar and Saudi to alter demographic pattern. They had a free hand during the war in Mannar and even after the war in Vavuniya and Mullaitivu. Now they have come against Sinhala resistance, and quite rightly if they try to be funny will end up in Musalivaikkal. The population issue needs to be dealt with ASAP. Otherwise forget about progress in Sri Lanka. There is prediction that this community will demand a seperate region in Malmo Sweden in the next 10 years. They only started migrating in the 1980’s. They believe their God’s people or something along with the Jews and several other groups. Nobody stops people like you to breed your own ones. Change your thinking and try to breed more of your kinds. There were numerous articles by Hilmy with evidence showing that these Muslims were living here before the war for ages and now only returning to their former villagers, if this is not correct why don’t you file a fundamental rights case in the Supreme Court, so that the truth will come out, for some reason I don’t understand why no one wants to do that but keep doing everything else to convince otherwise. Stop lying. There were only around 60000 Muslims living in the entire five districts in the north, when the LTTE chased them away for spying for the Sri Lankan armed forces and storing arms supplied by the Sri Lankan armed forced in their mosques . ( storing arms against whom? when there was no friction ) Most lived around Mannar. With natural increase and deaths within the last 19 years , the number will be around 75000 or 80000 the most if I am generous. Most of these people have now obtained lands and have settled around Puttalam and do not want to return. However Hilmy , Rishad and other Islamic extremists , saw an opportunity to Islamise huge swathes of the north west coast and other parts of the north and create new Muslim enclaves that were never there , using fake history and lies and out of area southern Muslims who are nasty and anti Tamil to the core( sic) . Many of these so called Muslim home guards in the east were also these southern Muslim thugs and criminals , who took part in anti Tamil pogroms down south. Again they were deliberately imported to the east by JR and minister Mohammad from Tamil Nadu to create friction between the eastern Tamil Muslims and Tamils. To settle these out of area Muslims in the north west coast and in the Vanni they spun stories that there are around 200000-300000 displaced northern Muslims who need to be settled ( how did 60000 become 300000 within 19 years humanly impossible) and were obtaining funds from countries like Saudi Arabia Pakistan and Qatar to Islamise , strategic areas of the north. They were able to getaway with this as the Tamils were very weak after the LTTE defeat with no one to support them locally or internationally and the then Rajapakse government turned a blind eye ,as they thought this a good opportunity to create a wedge between the Tamils and Tamil Muslims. yoir history is true and others is fake. What a joke.. So called evidence are not reliable nor adequate. In the past, there was no proper supervision from the authorities and issued the official documents willy-nilly to anyone. These smuggled Muslims have houses in Puttalama and in India. Given Badudeen the culprit’s track record, will he go anywhere near a court of law? Concenred Citizen: I know you are muslims. there are photographic evidence to show and showed in a TV program, what you say is LIES. Muslim IDP hoax was created by previous government to get votes from Muslim counties at the UN. Wilpatuwa has been using for all sorts of illegal activities, such as; drug (kudu) smuggling, cannabis (Kerala ganja) smuggling, people smuggling, etc. Smuggled people are given the fraudulent Sri Lankan birth certificates, national IDs, fraudulent land deed, etc. Some of the trees that have been cut down were more than 400 years old and worth billion of rupees. So which Muslim politicians and Muslim businessmen made billions of rupees from those valuable trees????????? Musali Marikkar should know, If the Muslims extremists had cooperated with the LTTE terrorists, the West wouldn’t have supported the LTTE and that would have made SL forces’ job a lot easier- ‘two birds in one stone’. Unlike the naive and gullible Sinhalese, cunning Muslims couldn’t fool the LTTE. It is not Wilpattuwa but Willupattu the names in the area are all Tamil , as this was part of the Jaffna kingdom and was Tamil occupied. Now Sinhalese extremists are Sinhalising these ancient Tamil names. Malinda, I know you have political ambitions. When you try to hide and talk the truth indirectly, you become a weakling. At least that muslim was straight forward. It looks true, both Mahinda Rajapakse and Maithripala Sirisena sacrificed wilpatthu and jungles upto Kilinochchi and allowed to settle even newly migrating muslims just for political donations. I think wilpattu is the Shia NAsiristhan. KAthankudi and Batticaloa area is the Sunni Nasiristhan.Durga Town is also trying that by chasing buddhist monks walk through the town. I think now muslims have forgotten 1915. Settlements are occuring/occured with the knowledge of MY3 and Mahinda Rajapaske. they were over riding even the gazettes by forest dept. 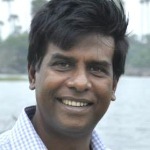 MAlinda Senevirathen: the positive side of Muslim settling in From Wilpatthu to Mulative via Kilinochchi is that if LTTE comes again they have to fight muslims first. Anyway, some of these muslims have their primary location else where. They sell their new location double the price (from what the govt or the minister henchman charged) and go to back their location. So, now Tamils are also there. Some muslims I heard are new comers to the country. Even Palitha Range Bandara has copied it and he was settling vanathavillu people there and also cut trees, I think. but he says no.